Your Website Ranked On Page One For Keywords You Choose Or You Don’t Pay! We deliver Advanced Digital Marketing and Businesses Solutions to increase your online traffic and generate leads and increase your sales. Our goal is to provide results through online traffic. With this always at the forefront of our minds, our advanced digital expertise in AdWords, Search Engine Optimisation and Social Media Management allows us to customise a suite of online services that assist business owners to grow their business and discover their full potential in the online environment. If you are seeking a way to increase your online traffic and optimise your digital presence, we are a leading digital agency! We’ve helped thousands of small to medium businesses with digital marketing and will make your expansion into online advertising a breeze! Local SEO focuses on getting your GMB listing ranking as high as possible, a Google listing is not a website; it is a listing on Google that appears when potential customers are searching for your business name or service. Google My Business is an easy-to-use tool for businesses and organizations to manage their online presence across Google, including Search and Maps. By verifying and editing your business information, you can both help customers find you and tell them the story of your business. SEO and GMB benefits when done right. Get your Google My Business GMB page set up. Ensure your NAP listings remain consistent across the web. Focus on local link building. Google My Business (GMB) offers companies a fantastic opportunity to appear in Google search results. The best thing about creating a Google My Business listing is that it’s free! Why Should You Create a GMB Page? 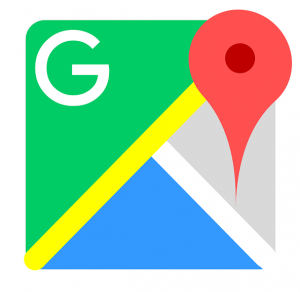 Google My Business provides you with the ability to list your business location on Google Maps and local search results. You can display important information about your business, including the opening/closing times, contact phone number or a link to your website. More recently Google has also released a new feature allowing you to post a link to articles or up and coming events. More about that later. The listing is free and should be regarded as a necessity by all businesses. If your business is an online business and you don’t have a physical shop then you should still consider having a Google My Business page. Setting up your Google My Business listing is one of the simplest and most effective ways of setting your business up to be found online. You’ve probably done a Google search at some point such as, ‘places to eat near me’, then you’ll notice that Google returns a list of three locations where you can eat based on your current location. The three businesses that have shown as a result of your search query are one step closer to attracting you as a customer. If these places to eat did not have a Google My Business Page then they would not have shown. Think about this in the context of your business, whatever product or service you may be selling. How can local searches benefit your business? After you’ve set up and claimed your GMB page for your business the next step is to make sure it’s optimised and you’ve filled in all the important information. You should aim to include as much information as possible on your GMB listing as possible. When people have done their search, and seen your business in the search results, their next step will be to click on the business to find out more information, such as contact details and directions. The way people search is changing and information needs to be instant. If you haven’t set an accurate business address then it won’t be easy for people to physically find you. If your business isn’t easy to find then people will go somewhere which is easy to find and you will lose that potential business. This is the online environment businesses must now compete in, so make sure your business is taking advantage of the way people are searching online and not letting it hinder your ability to attract new customers. You can now attract more interest by adding posts to your GMB profile. The content will show in Google search and on map results. To add a post all you have to do is go to your GMB account and create a new post. You will be able to upload an image, write up to 300 words of text or an event title, which will include the start/end date. There is then an option to add a call-to-action with a variety of button choices including ‘Learn more’, ‘Reserve’, ‘Sign up’, ‘Buy’ and ‘Get offer’. The post option gives you great flexibility to promote events, share your content and promote your products or services, highlighting when you are running special offers. The post will last for 7 days before you will need to replace it with a new post. Google will email you a reminder to do this. The screenshot of the Innovation Visual GMB page shows how we used the post feature to promote our Google Retail & Shopping Livestream event. As you can see a clear date and time is shown, alongside a clear call-to-action to ‘Sign-up’. If you have set up Google My Business, but haven’t yet used the posts feature then hopefully you now know a bit more about the benefits. Remember to keep an eye on your posts, as it appears that Google posts expire after seven days of posting them, meaning you will have to update them weekly. Events can be listed for longer and automatically expire on the day of the event, which is handy. Make sure that your business has an up to date and detailed Google My Business page. If you have not taken the time to create and optimise one then you’re missing out on one of the best free ways of appearing in Google search results. All it takes is time and knowledge to optimise your page, so make sure you do it. You could see the benefits instantly. SEO Score: SEO score is a measure to evaluate all the technical and user-facing aspects of your website. Having a good SEO score mean organic traffic and higher rankings. The final SEO score of your website is determined by the performance of 4 categories such as user experience, technical, mobile and content. Follow these suggestions to improve your search engine optimization (SEO) and watch your website rise the ranks to the top of search engine results. Does your website have Toxic Links? .A good link follows Google’s guidelines. A bad link does not. A bad link is simply one that violates Google’s guidelines. Consequently, it can lead to Google penalties. … Link farms, paid links, link wheels and other black hat link-building techniques can get you into trouble. A bad backlink comes from unrelated and untrusted sources. Sites that have been penalised and those that are violating Google’s Webmaster Guidelines can have a negative impact on your SEO. To avoid having bad backlinks, you have to perform a quick website audit to all the sites you plan to build links on. Negative SEO refers to the practice of using the black hat and unethical techniques to sabotage a competitor’s rankings in search engines. Negative SEO attacks can take a number of different forms: Hacking your website. Building hundreds or thousands of spammy links to your website. Identify your bad links from a website Link Audit. Link building, simply put, is the process of getting other websites to link back to your website. … Building links are one of the many tactics used in search engine optimization (SEO) because links are a signal to Google that your site is a quality resource worthy of citation. A website audit is a full analysis of all the factors that affect a website’s visibility in search engines. …A website audit is completed solely for marketing purposes. The goal is to detect weak points in campaigns that affect web performance. Performing an in-depth technical SEO audit is an extensive process and some factors can be more fruitful than others; depending on the issues with the website we are auditing. An SEO audit is a process of analyzing how well your web presence relates to best practices – it is the first step to creating an implementation plan that will have measurable results. The purpose of the audit is to identify as many foundational issues affecting organic search performance as possible. Why An SEO Audit Is Important For Your Business. Its often described as a process of altering and strengthening a website’s online relevancy, an SEO Audit typically covers important components of a website such as content-related issues, site architecture, indexing, backlink analysis and social-media engagement. First of all, let’s look at a brief technical audit. SEO Digital Solutions and organic SEO services utilise only modern ethical methods to scale and best practices for achieving maximum visibility and increasing web traffic, naturally. These days, local SEO services are almost a necessity for any small to medium business relying on consumers from a particular geographic location. Modern methods for building online presence need to consist of a comprehensive Content Marketing strategy. Social Media Optimisation (SMO) has materialised as an efficient and profitable channel of online marketing. We understand that using an outsourced partner for the first time can be daunting. You need to make sure the partner fits your needs in Digital Marketing Solutions. Link Detox is a complexed effective method that locates and evaluates all links that are pointed to a particular website. “Have been with Seo Digital Solutions for over 6 months now, during which period I have seen our rankings improve enormously. So far, this has led to an enormous increase in business after the strategies of link building and sales funnels and email automation were put in place. We found the entire team to polite, friendly and helpful. And this applies to every person I have had dealings with. For me, the most impressive aspect is the promptness with which they respond to queries as well as the regular feedback I receive on a monthly basis. Their attention to detail, punctuality and suggestions have all helped to create a feeling of confidence within the entire team”.